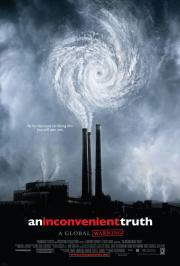 There is a certainly a good film that can be made about the effects and causes of global warming. This is not that documentary. Al Gore seems to have no idea of the actual science and likes to tie together random anecdotal evidence and present it as fact. Sure the basics are solid but there are too many lies, half-truths, and total exaggerations to take the entire product seriously. It also doesn't help that this is an over-glorified Power Point. I wonder if Conservatives would actually admit climate change is real if Al Gore hadn't made this movie. Probably not. Their corporate overloads would tell them not to believe.